Best Indoor Succulents to Decorate your Home, Office, or Small Space! Best Indoor Succulents ever! With the Christmas holidays behind us, maybe you’d like to add a houseplant or two. Something small that can replace the Christmas greenery. If you’d like to try growing an indoor succulent, we have some ideas that you may be interested in. Look at these succulents. Ideal for beginners. And perfect for your small space area. You’ll find that there are many succulents to choose from. In fact, you just may decide to start growing two or three and group them together. Easy to grow. Easy to care for. The beauty of succulents is that they need watering infrequently. Because they are able to store water for long periods of time. 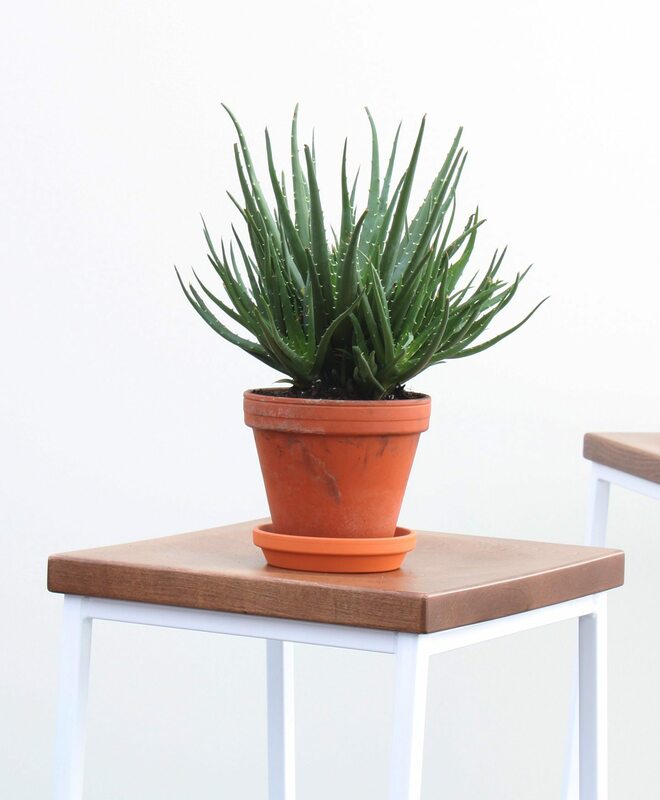 We’ve rounded up 13 of the best indoor succulents for your home, your office, or small space. Easy to maintain and affordable. Take a look and let us know that you think! 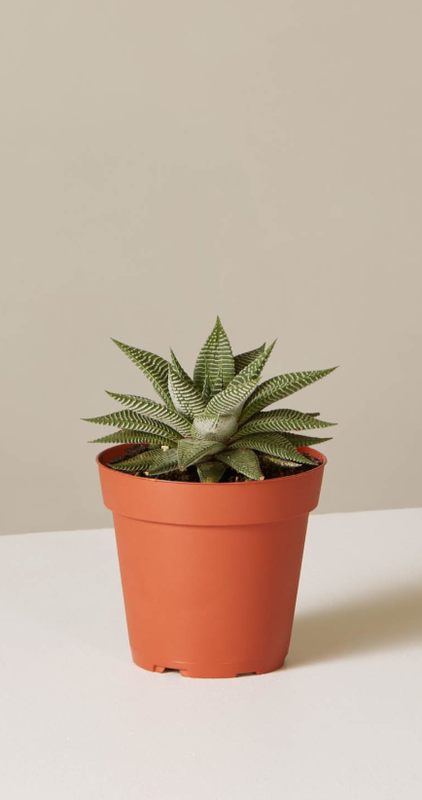 Pet friendly, the Haworthia Miami has striking white ridges. Loves bright indirect light to full Sun. With full Sun being the ideal environment. Water the Haworthia Miami infrequently. After all, the Haworthia Miami grows in a desert where waterfall is low. A classic succulent that won’t disappoint. 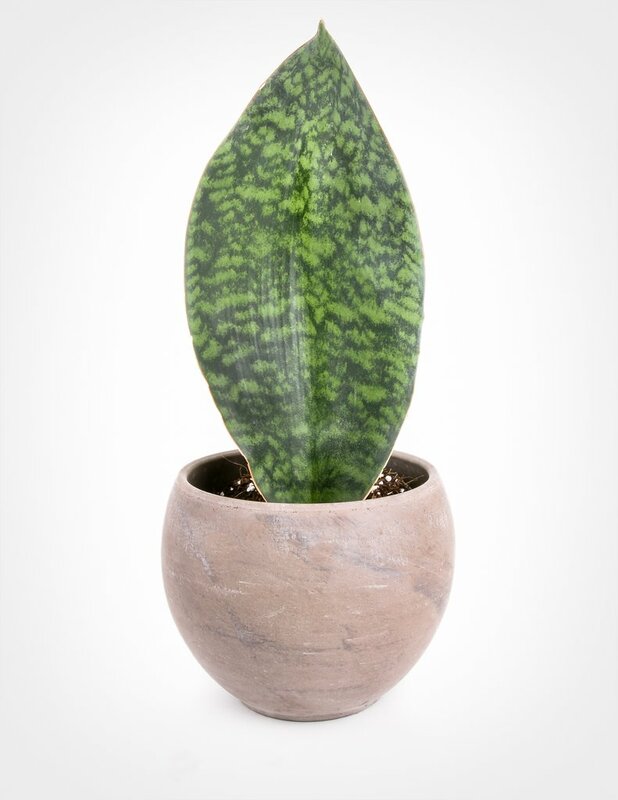 Sansevieria masoniana has the nickname of Whale Fin Snake Plant. This is because of the unique shape of the wide, paddle-like leaves. A slow grower, the Whale Fin grows to a considerable size in comparison to others in the genus. The Whale Fin has dark and light green mottled patterns with leaf margins of pinkish red. Thrives in light conditions from low light to bright indirect light. Water only when the soil has completely dried out. During Winter months, watering frequency drops to once a month or even less. Whale Fin has great air purifying abilities. One of the best succulents for beginners that requires little maintenance. An impressive succulent, the Hedgehog produces spikes of coral-red flowers in the Spring and late Summer. Use the Hedgehog to soothe burns and skin irritations. Easy to care for Hedgehog Aloe has blue green, upright leaves. Place the Hedgehog Aloe in bright indirect light to full Sun. Water very lightly. The Hedgehog Aloe is not pet friendly. 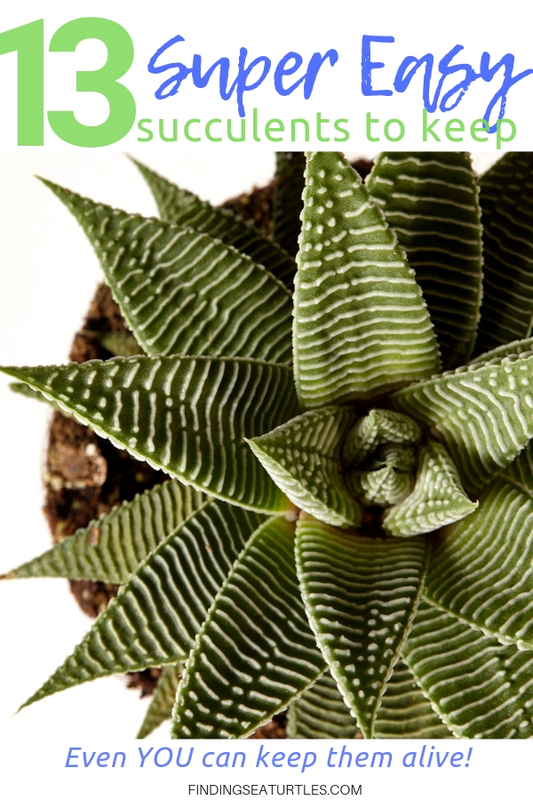 A forgiving succulent that removes toxins from the air. 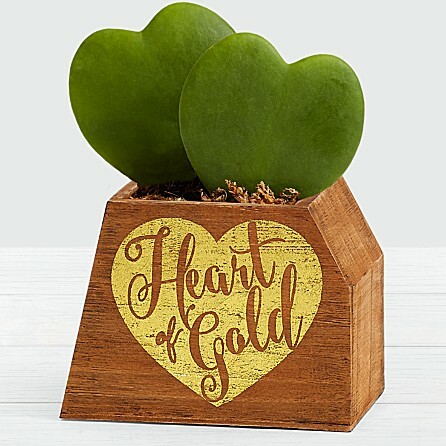 Sweet double Hoya Heart Succulents that grow in a rustic wood container. Topped off with a shimmery gold “Heart of Gold” message! Hoya Heart Succulents or hoya kerrii are sometimes called wax hearts because of its leave shape. Perfect for gift giving. Water requirements are low. Easy to maintain and grow – the Hoya Heart. 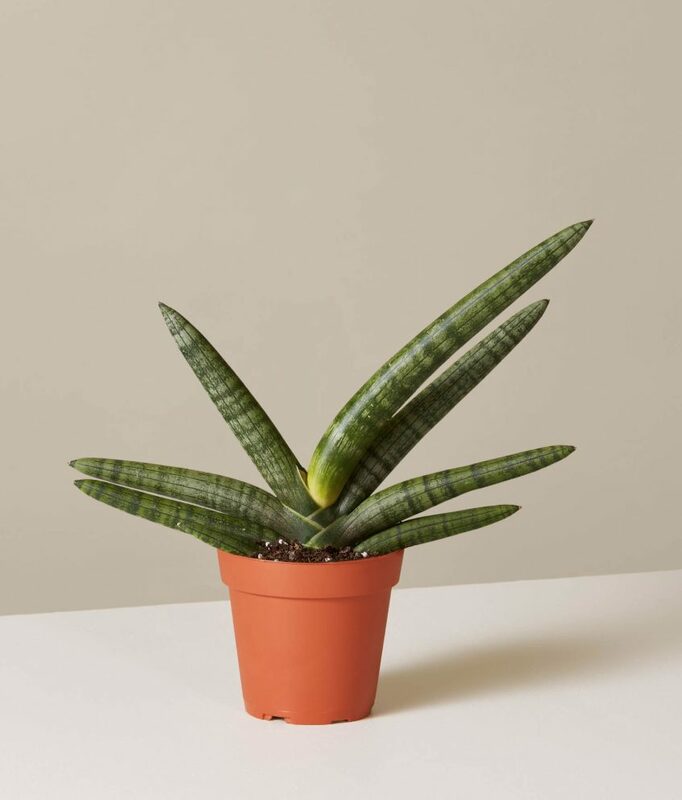 Also referred to as the “Medicine Plant,” “Miracle Plant,” or the “Natural Healer.” Flourishes in warm and dry climates, the White Fox Aloe Vera grows between 4 to 6 inches tall. A miniature, the White Fox has thick pale green leaves mottled with white rectangles. Grow White Fox in morning Sun or very bright, indirect light. Water when succulent is dry. Use the sap on burns to sooth. 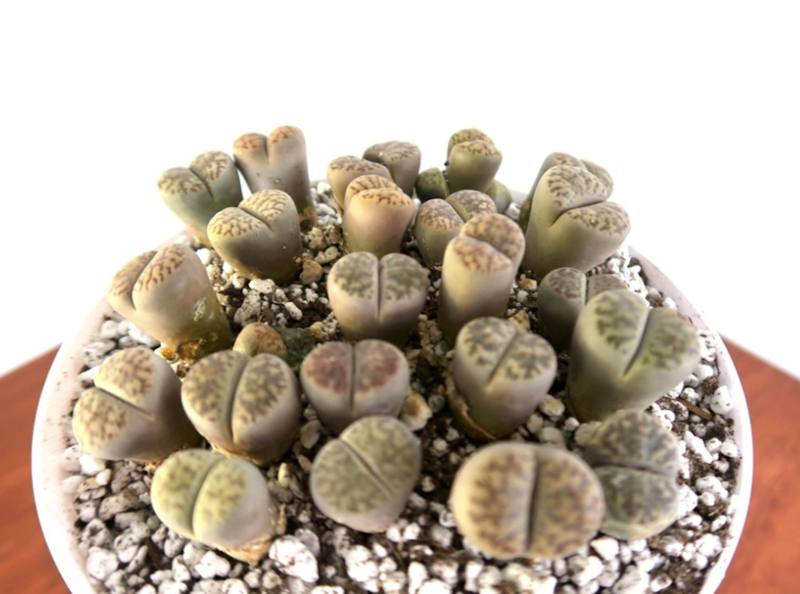 Rare Lithops Succulent are known as Living Stones. Water Lithops sparingly in the Summer. Water no more than once every 10 days in the Fall and Spring growing seasons. Soil should dry out between the waterings. Drought tolerant Lithops is an easy to care for succulent. Alpenglow Vera Higgins forms rosettes with beautiful pink mauve leaves with inner lime green color. Grow Alpenglow in a sunny space. Water when Alpenglow is dry. 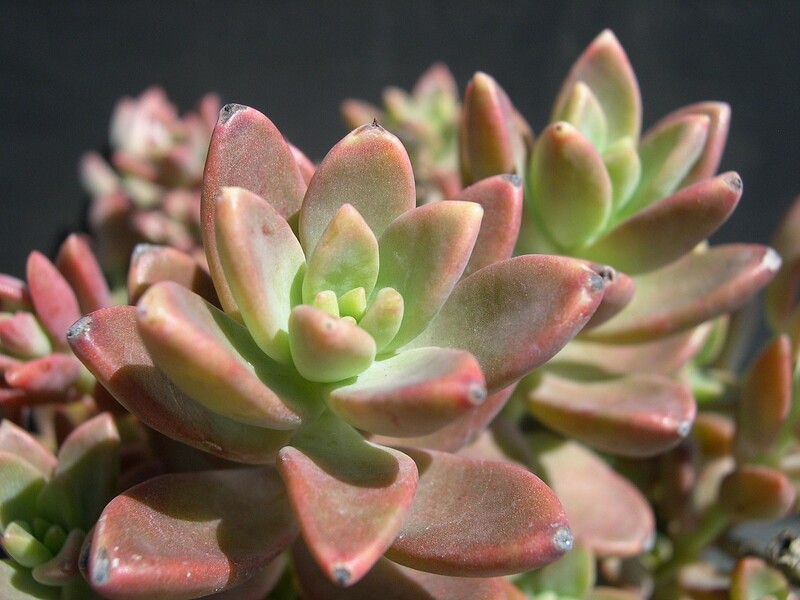 This succulent has a reddish glow near sunrise and sunset in mountainous areas. Just simply beautiful! 30 Rock Garden Plants That Perform Like Rock Stars! Bring Mother Nature into your home with the Modern Succulent Terrarium Kit. 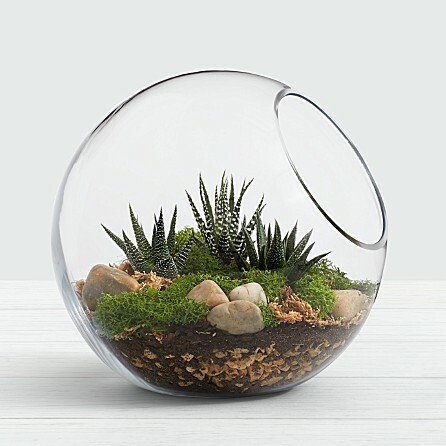 At your home or office create a nature scene with this sensational Succulent Terrarium Kit. The kit contains 3 green and white Haworthia succulents plus all the materials needed. Glass globe is 8.5inches by 8.5 inches. Perfect for beginners or small space living areas. 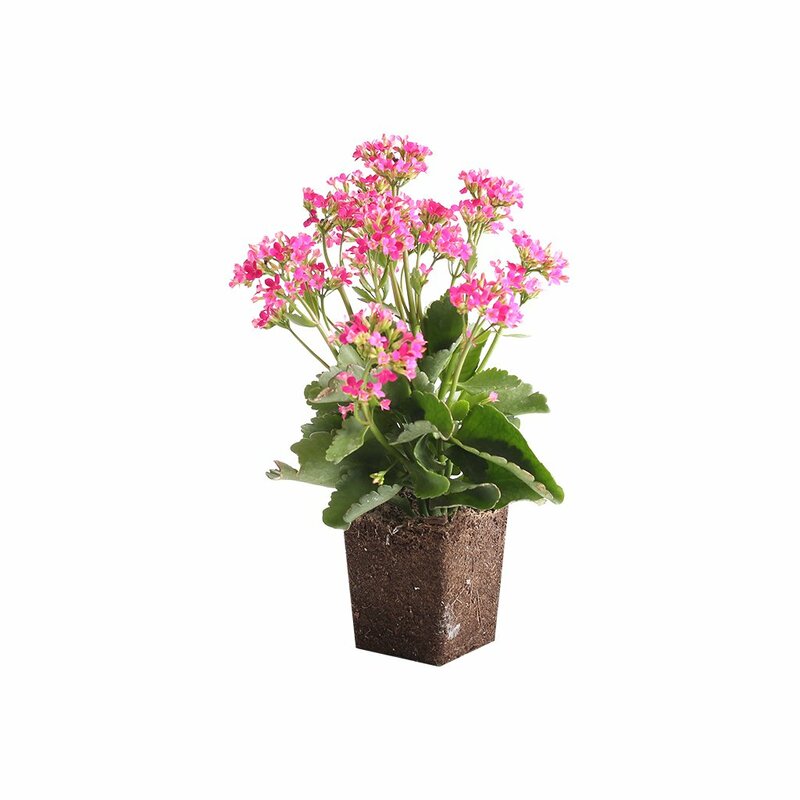 Kalanchoe Blossfeldiana has small, bright pink clustered flowers. A low maintenance succulent, the Blossfeldiana blooms year around. Providing color when other plants are dormant. Minimal regular care is all that the Kalanchoe Blossfeldiana needs. Easy to grow, Blossfeldiana prefers dry and sandy soil. Typically grows between 8 to 12 inches tall. Water only when soil is completely dried out. Remove expired blooms to encourage new blooms. Ideal for an office space or those who are frequent travelers. 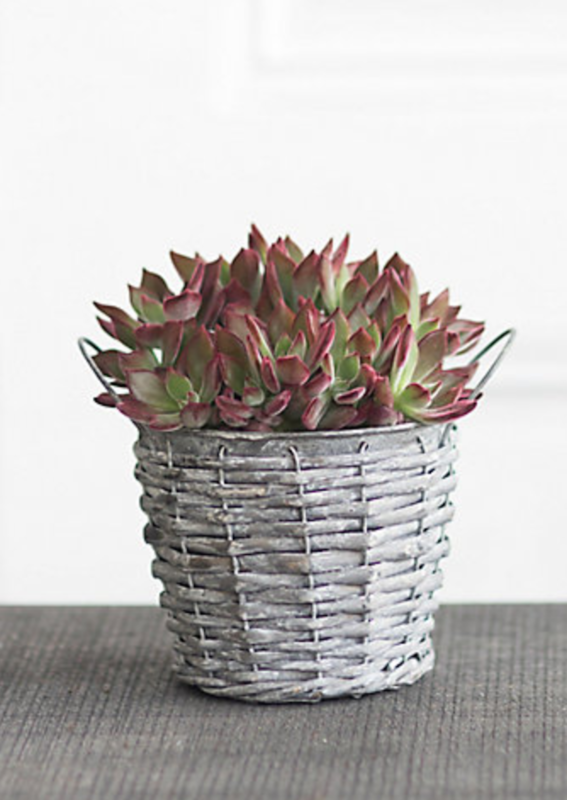 A low maintenance succulent, the Devotion Echeveria is tinted with a deep red colored edges. Grow the Devotion Echeveria indoors in bright or direct sunlight. Room temperatures should range between 65 to 80 degrees F. Devotion Echeveria prefers drier soil. Water lightly. A beautiful and elegant succulent! 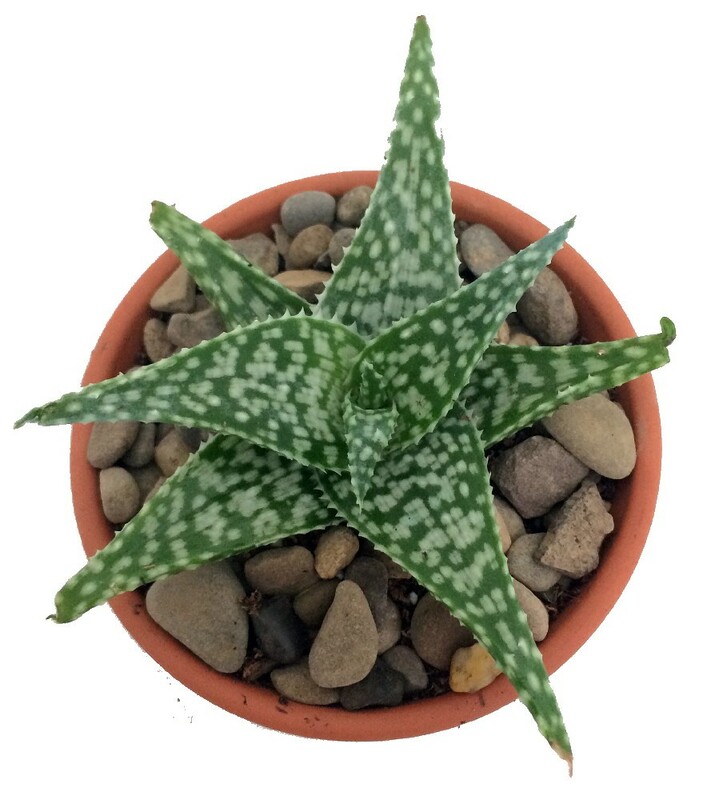 A delicate succulent, the Haworthia Zebra has rosettes of fleshy green leaves that are covered with white, pearly bands. 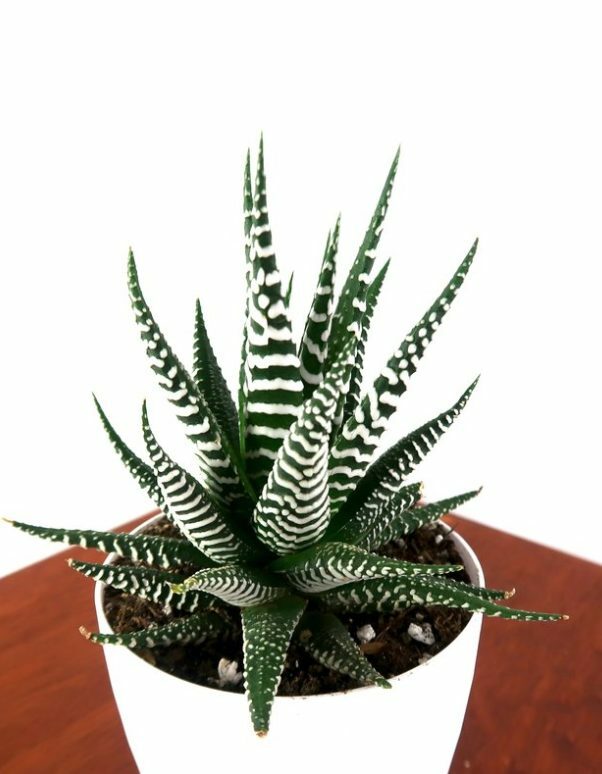 Small and low growing Haworthia Zebra is pet friendly. Give the Haworthia Zebra tons of light. Water generously during the Summer and less during the Winter months. Allow soil to dry out between waterings. Attractive and ideal for small spaces. 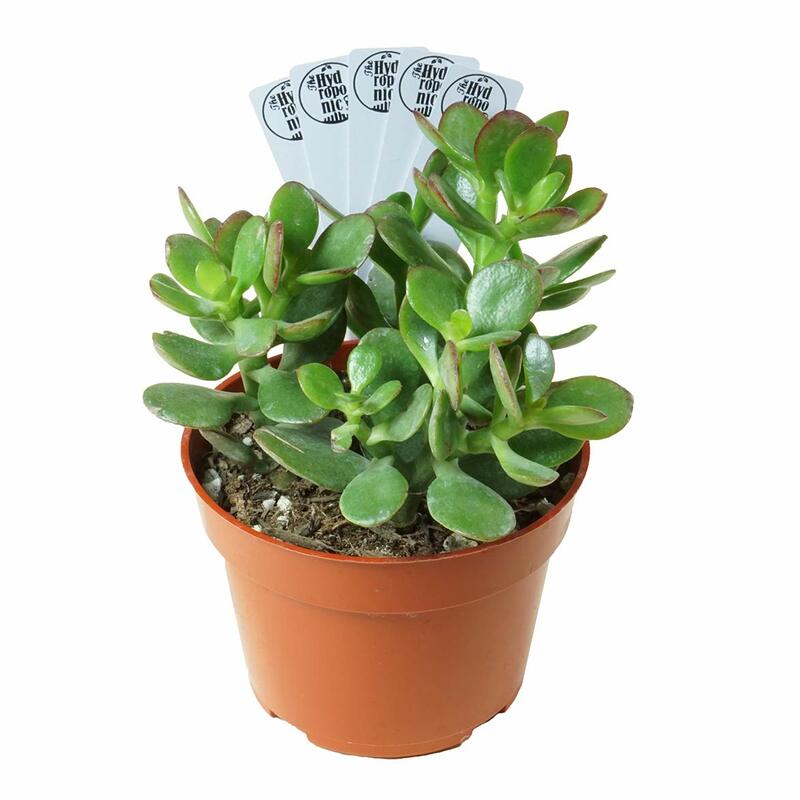 Sun loving Jade Plant Crassula Ovuta has small pink or white flowers. A native of South Africa, the Jade Plant is a low maintenance succulent. Also known as the Friendship Tree, Lucky Plant, or the Money Plant. Water the Jade Plant when dry. Starfish Snake Plant has fan-like cylindrical leaves. A great air purifying succulent. Great for beginners. Indirect light to dappled Sun is preferred but will tolerant low light. Water infrequently, the Starfish Plant tolerates any humidity level. These are 13 Best Indoor Succulents that are easy to grow and maintain. Ideal for hectic households, frequent travelers, and first time plant growers. 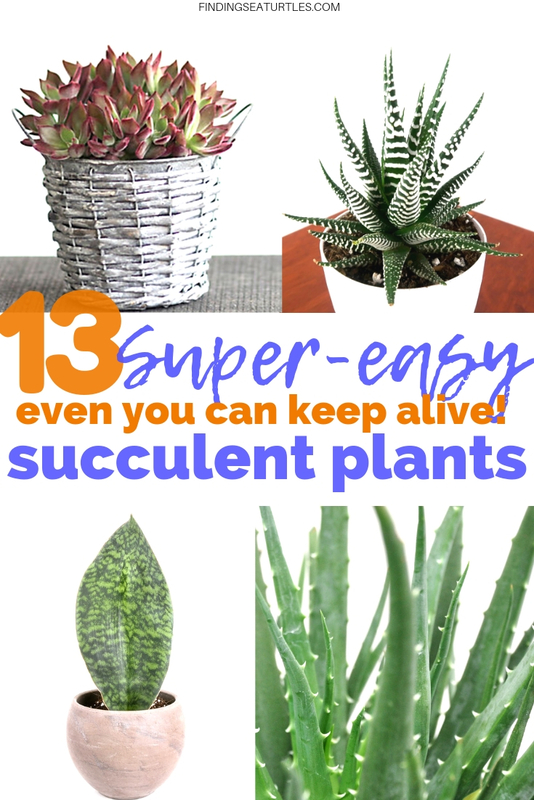 Brighten your home or office space with any of these grow it yourself succulents. Easy and quick decorative touches to make your place greener! 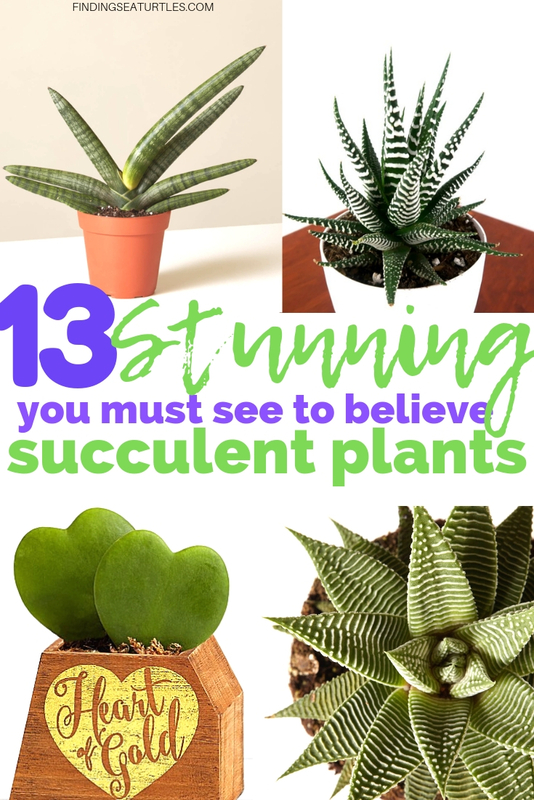 If you try any of these 13 Best Indoor Succulents be sure to let us know how you make out. And if you have any questions, feel free to reach out to us in the comments below. We always are ready to help you out. Thank you for stopping by.